Welcome to Sea World Orlando. I cannot believe how long it has been since I last visited this park. 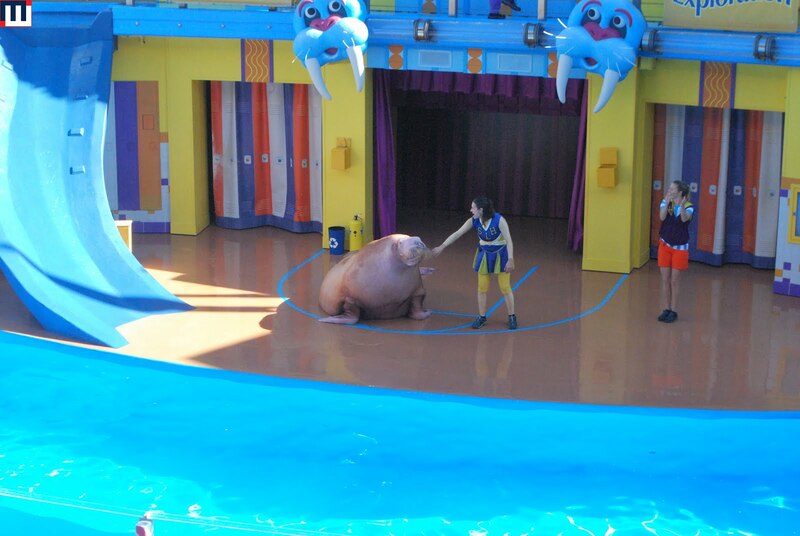 Started off the day with the Clyde and Seamore show. They have a new show called Sea Lion High which is quite humorous. Of course there are a lot of gags and jokes during the show. And like normal, the front rows get soaked. They WERE warned. Slow Poke makes an appearance at the show's finale. The parents got to pet sharks and rays for the first time today. The new show was Pets Ahoy! This talented cast of critters really knows how to put on a show. Much better show than the one we saw over at Universal. Next we headed over to watch Blue Horizons. The show features many talented dolphins performing breathtaking jumps. 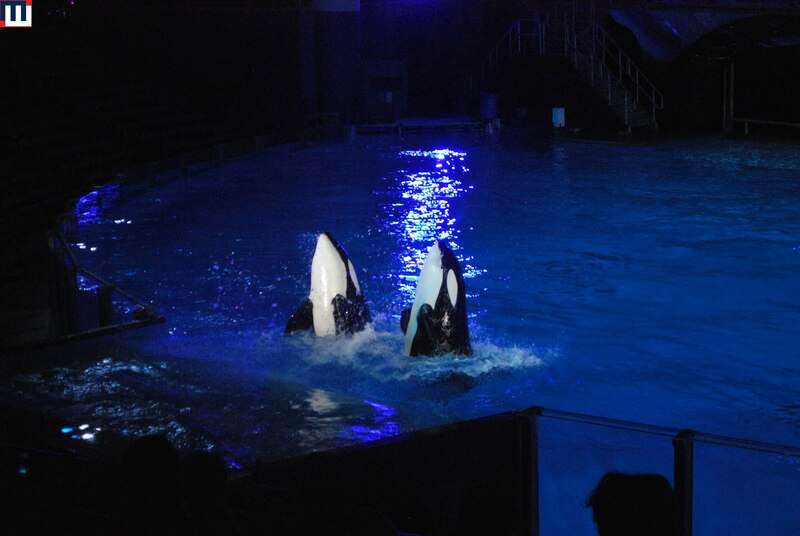 The show also features pilot whales, which can really get some air. The show also has some "cirque" style performers that really don't fit in, but whatever. The dophins and whales are what people are really here to see anyway. 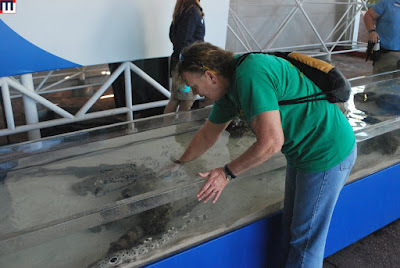 Sting Ray Lagoon - where you can pet and feed rays. Dolphin Cove - where you can get up close encounters with dolphins for an additional cost. Turtle Trek is a fun 3D movie in the round. It is really well done and it is amazing the sights that they are able to pull off. At one point it looks like jelly fish are swimming right next to you in the theatre. 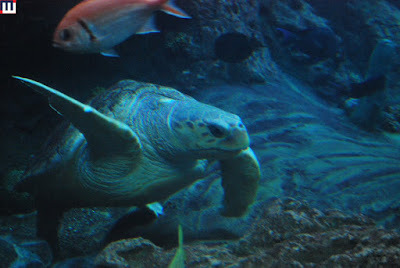 There is also a large aquarium with sea turtles in it. I think we counted 4 total. They were quite large. In the same aquarium complex there are manatees. They also have a large rehabilitation center that you can check out. There were 4 on display back there that would soon be released back into the wild. 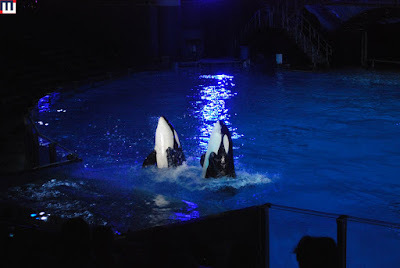 Wild Artic features a "Star Tours" type motion simulator that empties into a complex of aquariums featuring beluga whales, seals, sea lions, walruses and other Arctic animals (except penguins). The penguins can be found in Antartica: Empire of the Penguin. The attraction starts off with a weird trackless cart that goes through a very strange story before dropping you off in the penguin exhibit. Pacific Point Preserve is where you can see sea lions up close and also feed them. 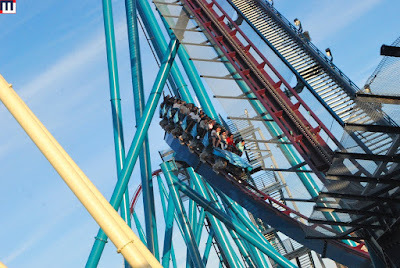 I can say that MANTA is easily the best flying coaster I have ridden (and I have now ridden all of the flying coasters in the USA - I don't count Volaires). 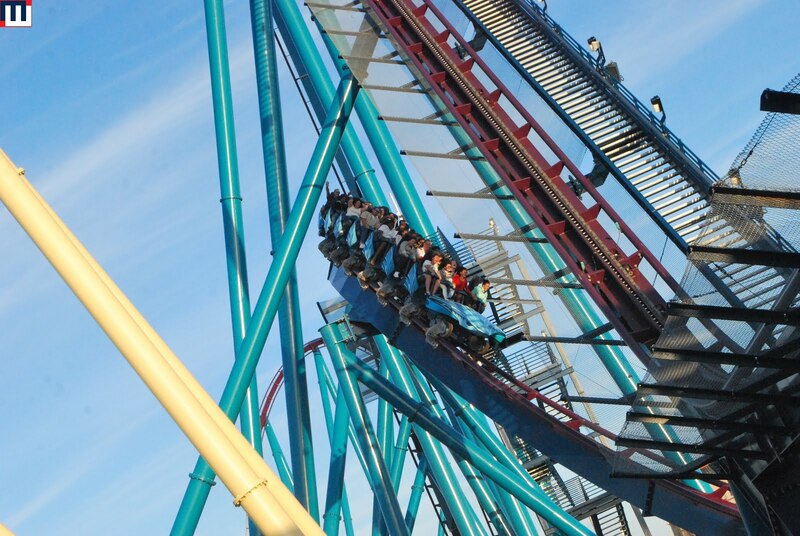 Pretzel loops on flying coasters still get me. Such an unnatural feeling when you start your decent into the element. It just feels so wrong. The elements on this layout feel less forced than those on others, like TATSU and SUPERMAN. I was a little bummed Journey to Atlantis was closed. That's a fun ride. 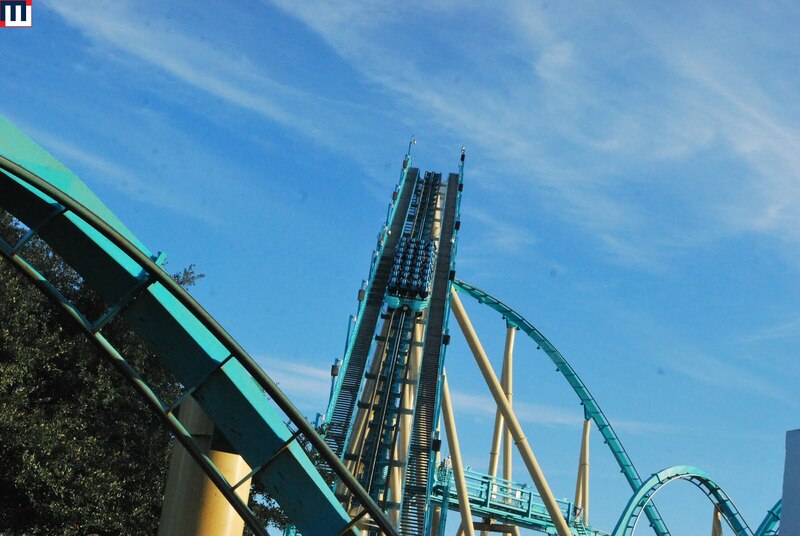 KRAKEN was my favorite ride here the last time I visited. Granted it was the only "big" coaster here at the time. 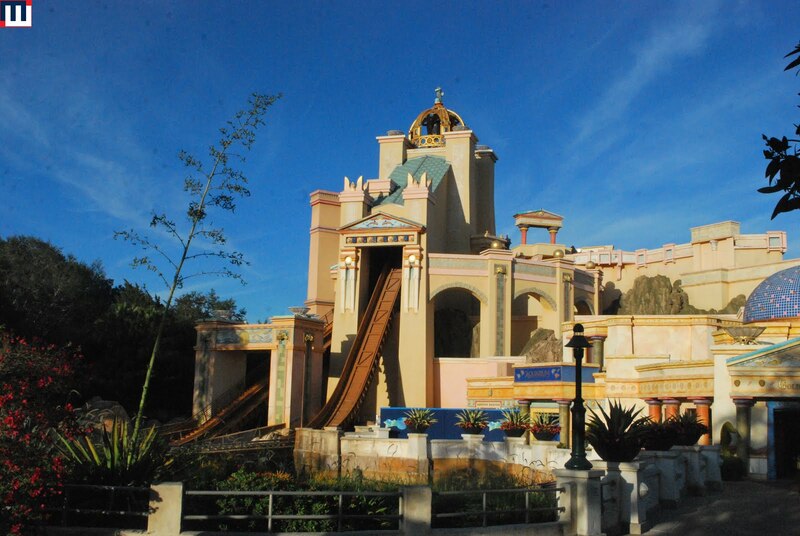 It is still a very fun ride. I personally don't think it is good as Krypton Coaster but still a good ride. One thing I really like about it is how visible it is around the park. It is also a very long ride. 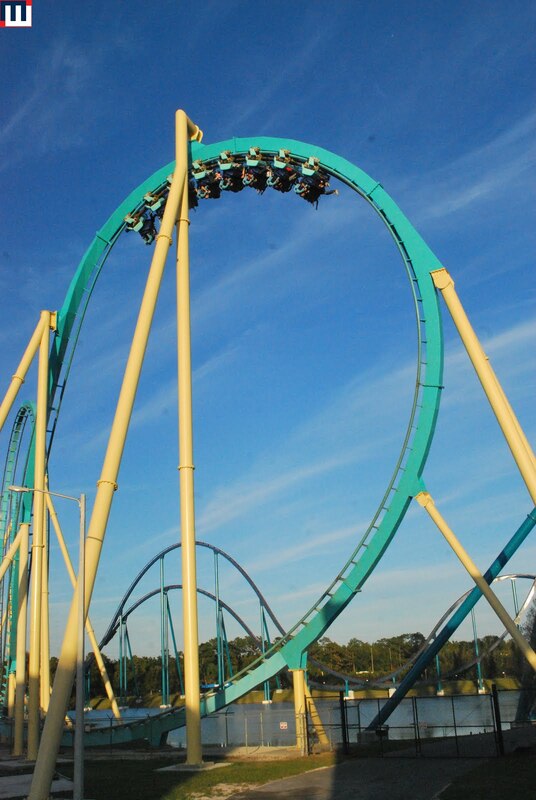 It stretches all the way over to MAKO. Speaking of MAKO, here is the newest addition to the park. This new B&M hypercoaster is a quality ride. Lots of fun. The ride maintains its speed the entire circuit which is a major plus in my book. It also filled with excellent air time - something other B&M hypercoasters lack. 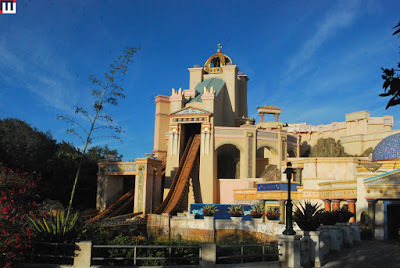 The ride also features some top notch themeing around the guests areas. 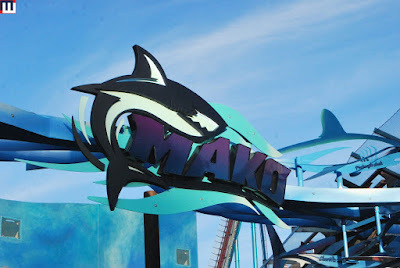 MAKO is the centerpiece of the new section called Shark Wreck Reef. There is also an underwater viewing tank of the sharks. There were some very large sharks in this tank. The park also has a pretty decent kiddie coaster called SHAMU EXPRESS. 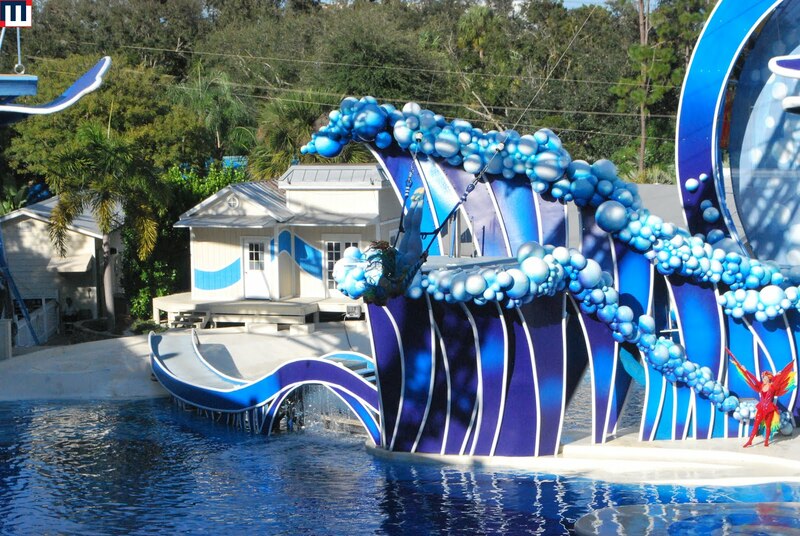 Lots of features for the kids to check out in SHAMU'S HAPPY HARBOR. They also have pint sized rides and a huge climbing structure. Orcas (Killer Whales) are just amazing creatures. The orcas seem to be having a great time with their trainers. Such a great and fascinating show. The lake is all light up with the "SEA OF TREES"
The Nautilus Theatre was the home to the show "O Wondrous Night" - the finale was great as they brought out live animals (including 3 camels) to create a living nativity, but to get there you had to suffer through one of the worst shows ever. It was like a bad lip synced high school show choir performance. They had a really neat model train area. Lots of cool stuff to look at. Winter Wonderland on Ice was an amazing show. It was held at the Bayside Stadium. Then it was time to ring in the New Year. Fireworks and dancing fountains were everywhere. What an amazing way to ring in the New Year. Lots of Live Music Party Stops were set up around the park. Happy New Year from the MiG Crew and Family. 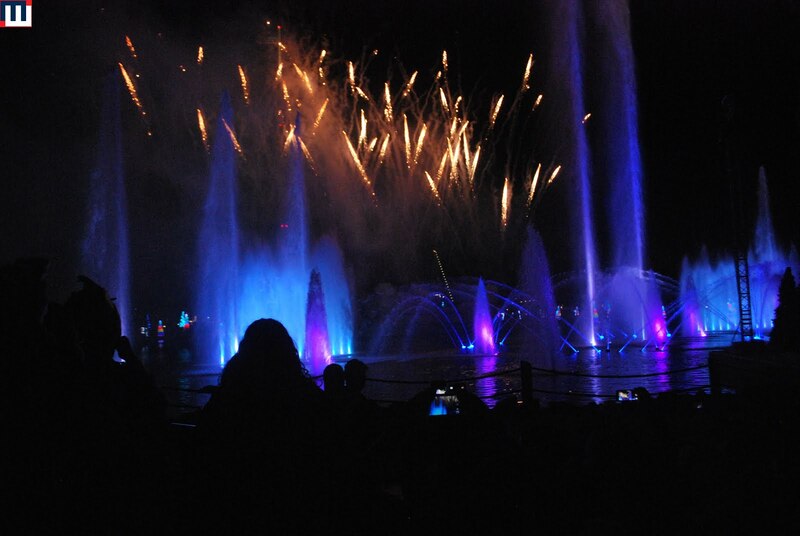 That does it for 2016 - Good Night from SeaWorld Orlando.